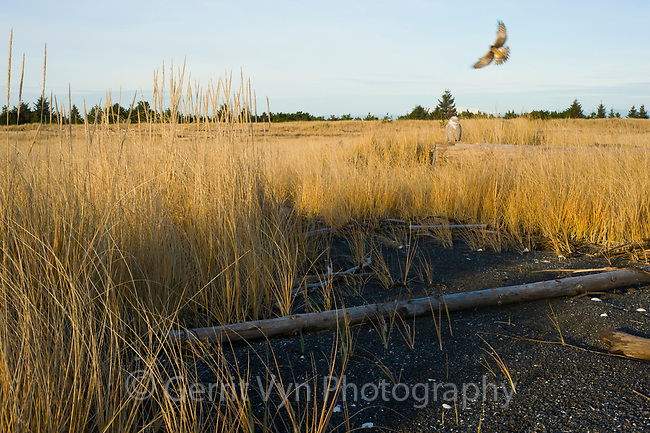 Snowy Owl (Bubo scandiacus) being mobbed by a Norther Harrier (Circus cyaneus). Grays Harbor County, Washington. December.